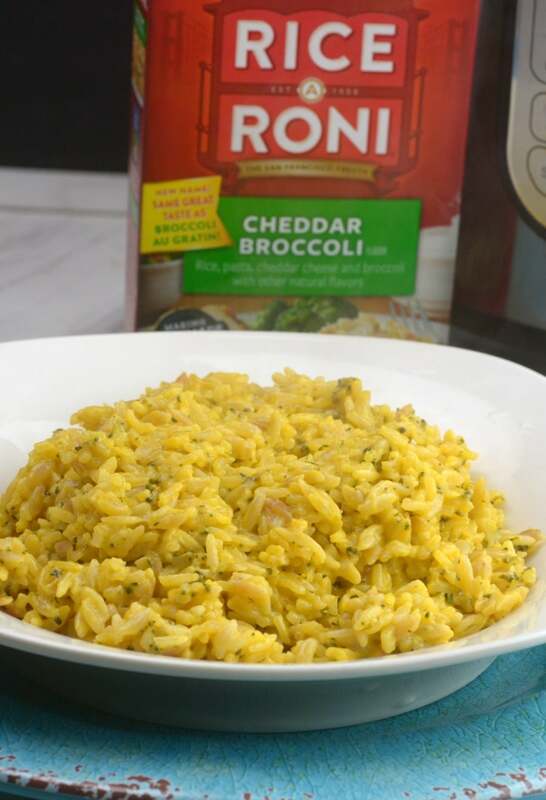 Boxed Rice a Roni is always simple to make and tastes great now the instant pot made it even easier to make. 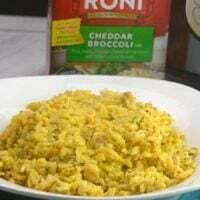 When I have time I like to make my own homemade Cracked up Cheddar and Broccoli Rice. I also made boxed hamburger helper, Au Grating Potatoes, and Mac n Cheese. Place your Instant Pot on Saute. 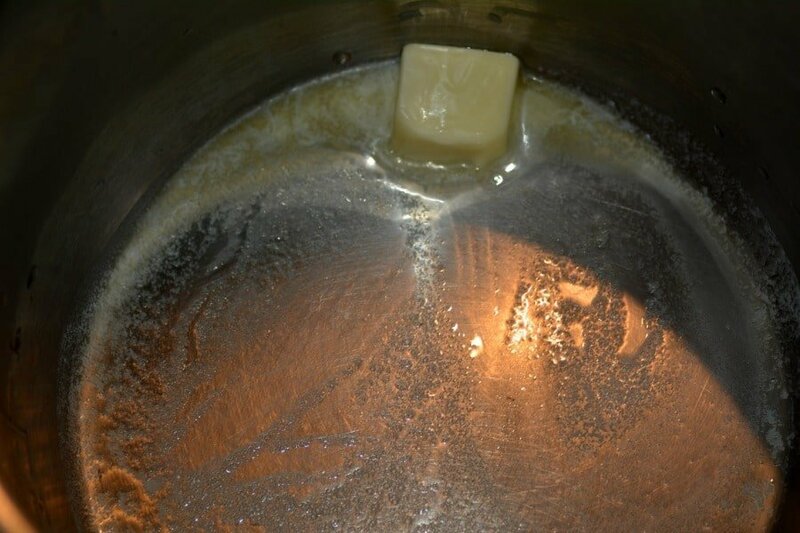 Melt 1 tbs butter. 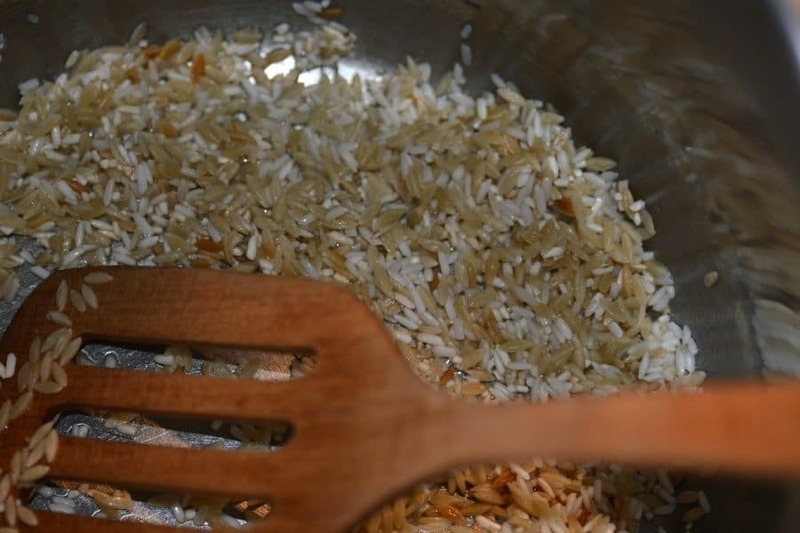 Pour in dry rice and leave on saute until rice turns brown about 1-2 minutes. Add 1 1/2 one and a half cups water and season packet. Place Manual LOW Pressure for 12 minutes. Or use the Rice button. Do a quick release and serve. Place pot on saute. Melt butter. Place pot on manual low pressure 12 minutes. What size box of rice a roni did you use in this recipe? Thank you for this information! I love making the pre mix rice boxes from Near East, Uncle Bens, Zatarains to save time! 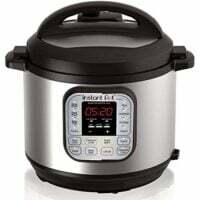 Just wondering, as a rule of thumb if you have found that say all/most Rice a Roni mixes in an instant pot use 66% water and butter from the original recipe? For instance this cheddar broccoli original recipe uses 2.25 cups of water, yours uses 1.5 cups. I am an IP newbie, just getting started and am wondering, I tried making some Uncle Bens wild rice mix the other day and I used 3/4 the amount the recipe called for and set it for automatic rice setting with an quick release and found it was too soggy and the rice was bloated. Any rice cooking tips would be greatly appreciated! How would you change the directions if you were cooking two boxes? Also we usually serve this with hose rings of smoked sausage could i just throw the meat in i imagine? Just make sure you have enough liquid to just cover the pasta 🙂 and absolutely add in meat. I love Rice A Roni but its such a pain to keep an eye on it. Tonight I made my favorite, the Spanish Rice. It came out absolutely perfect and so fast. Just wanted to say thanks for this! My daughter loves rice-a-roni and I have made it in the instant pot many times now and it always turns out great. Originally I only had the lux model instant pot that doesn’t have a low pressure setting so I would cook it on high pressure for 3 minutes with a 10 minute natural release and it always turns out perfect with your measurements. 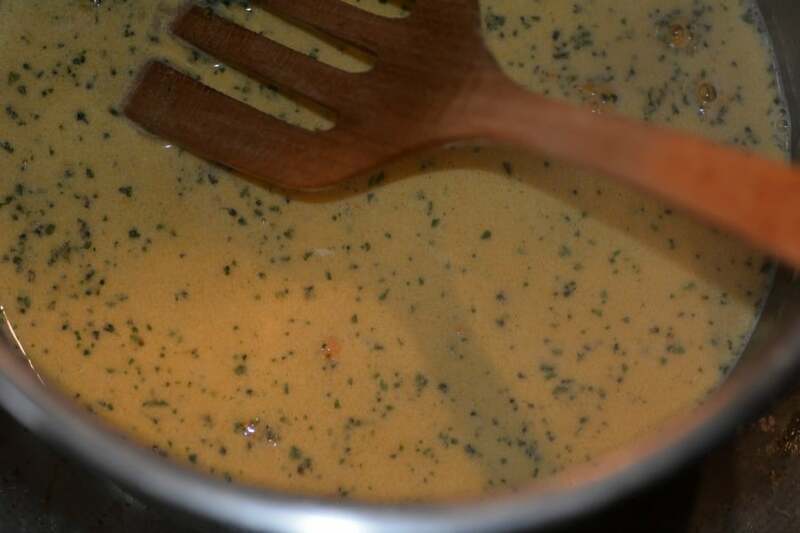 Can you add chicken strips in this and cook the same? I too would love to know that also! Does this work for “any” Rice A Roni box? Thank you. You forgot to put ‘Add seasoning packet’ in your list instructions. For the spanish rice, do you still add the can of diced tomatoes? Thank you in advance.